A couple of weeks ago I had the pleasure of having a glass of wine and a chat with Mary Stubbs of Stubbs Vineyard. The write-up of our conversation is taking on a life of its own as it spirals into the struggles of organic vineyards (both physical and perceptions) and a couple of other topics. I decided to post my tasting notes of the Pinot Noir while I try to figure out where I'm going with the rest of it. Mary poured me a glass of her 2004 Pinot Noir from Marin County ($44). The wine exhibited scents of sour cherry, earth, cinnamon, ginger, lavendar, and licorice. On my palate the sour cherries and cinnamon continued while the ginger became spicier and the earth tones became darker and were joined by hints of black pepper and cloves. The tannins were silky and the finish lingered. The wine had a good level of acidity which enables it to age very well. This is truly a wonderful Pinot Noir of the Burgundian style by which I mean it depends more on its structure and bouquet than bright fruit aromas. 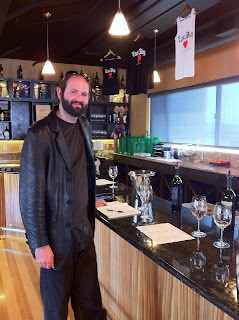 I am looking forward to tasting more of their wine at the 8th Annual Marin County Wine Celebration on June 23rd. Photograph courtesy of Sanae Burries. The other day I opened a bottle of 2008 Pinot Noir by Elk Cove Vineyards from the Willamette Valley. I had bought this on sale at Safeway a while back for about $25, but it retails for $30. This wine took a while to open. Even after a day (with a closure) it still tastes a little closed. Or maybe it is simpler than I think it should be. At first, I gave it about 20 min to open by pouring a little into my glass, giving it a few swirls, and watching some Futurama. I gave it a sniff and it exhibited sour cherry and volatile acidity (mostly ethyl aldehyde, but a little acetic acid as well). Luckily with more patience and impatient swirling the VA wafted away. Since there are so many wines I had to split this post in two. The first half was the wineries that rent space from Rock Wall. The first half of the selected tasting notes from my delightful experience are located here. 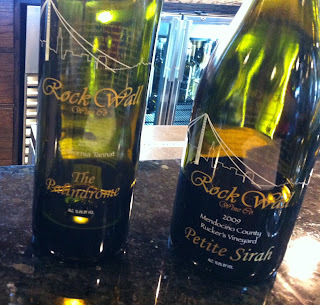 About half way down you will find the tasting notes and recommendations for Rock Wall Wine Company. Rock Wall is on Alameda Island next to Oakland, CA is located on the defunct naval air base. Rock Wall is a winery and a winery collective. 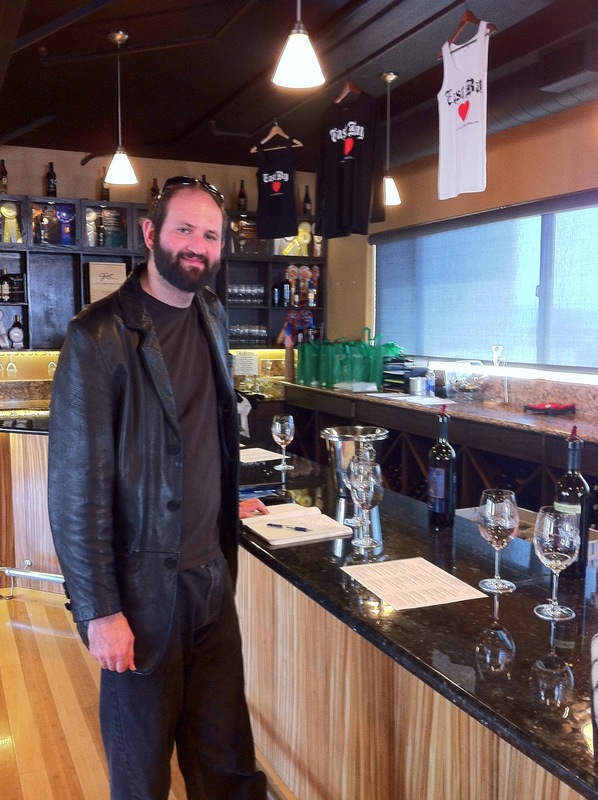 The tasting room houses 7 wineries with 18+ wines to try. All the whites were $18-25 and the reds were $24-36. There were many wines with excellent quality to price ratios. The wines are broken down into three flights ranging in price from $5 to $15 dollars which is waived with a purchase of $20 or more. In addition to the flights, you can also purchase wines by the glass. In addition to the wine, there is also a wonderful restaurant with appetizers and entrees; I had a bacon grilled cheese sandwich and a salad which were both delicious and the salad must have come out of the garden because it was so fresh. The food was served outside on the patio with a view of the San Francisco skyline in the distance.